The South-East Marine Protection Forum has officially completed its work. In February 2018, after nearly four years of dedicated community engagement and intensive deliberations, the South-East Marine Protection Forum provided its recommendations on marine protection for the South Island’s south-east coast to the Ministers of Conservation and Fisheries. The Forum’s recommendations are now under active consideration by Ministers, focussing on what options for marine protection to take forward to implementation. The South-East Marine Protection Forum provided its final report on marine protection on the South Island’s south-east coast to the Ministers of Conservation and Fisheries, for their release. Forum Chair, Maree Baker Galloway, says the Forum process over the last 3 years has been a challenging one which required members to not only represent their stakeholder groups well, but to also to endeavour to reach consensus as a group on very testing issues. Ministers have released the report today which recommends two alternative networks of Marine Protected Areas for the Ministers’ consideration. The Forum’s recommendations draw from the wide-ranging community views which were voiced clearly through the formal submissions process as well as many face to face meetings with interested and affected people. The two networks mirror the significant differences in views between various groups and sectors. Network 1 covers 14.2% (1267 km2) of the Forum region and includes six Marine Reserves (no-take/no-disturbance areas) and five Type 2 MPAs (where restrictions are placed on certain types of fishing). Network 1 also prohibits the commercial harvesting of bladder kelp north of the Otago Peninsula. Network 1 is supported by the environment, tourism, community and science representatives, as well as one of the two recreational fishing representatives. An additional Marine Reserve, at Long Point (Irihuka), has been recommended by the Network 1 proponents. However, because this is opposed by Te Rūnaka o Awarua, one of the 18 Papatipu Rūnaka o Te Rūnanga o Ngāi Tahu whose authority is from the Mata-au (Clutha River) to beyond Waipapa Point, it has not been included in the network analysis. Network 2 covers 4.1% (366 km2) of the Forum region and includes three Marine Reserves and two Type 2 MPAs. It is supported by the commercial fishing representatives and the other recreational fishing representative. Several sites are in both networks, but the proposed boundaries and levels of protection differ. Network 1 includes some proposals that are larger than those consulted on publicly. Some of the sites that were consulted on are not included in either network. 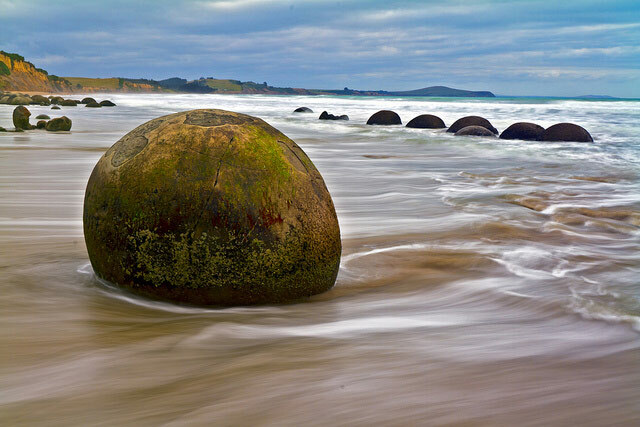 Kāi Tahu do not oppose the proposed MPAs in either network (with the exception of Long Point (Irihuka)), but the rūnaka acknowledge that there will be impacts on customary values, access and aspirations of Kāi Tahu Whānau. Forum members unanimously endorse both a 25-year generational review for all of the MPAs in any network and a management structure for MPAs which allows for co‑management by Kāi Tahu and the Crown, as Treaty partners. Support for both networks is conditional upon these management recommendations being implemented. Any recommendations made in the report that are accepted by the Government will be required to go through the appropriate statutory processes and associated opportunities for further consultation and public input before implementation. Forum Chair, Maree Baker-Galloway says there has been enormous public interest in this process and she looks forward to the Government’s consideration of the recommendations. The Executive Summary contains all the key recommendations. Copies will also be available for viewing at local council offices and main public libraries throughout the region. The Minister of Conservation, Hon Eugenie Sage, was in Dunedin yesterday at Otakou Marae, attending the last meeting of the South-East Marine Protection Forum (SEMPF). Also attending, on behalf of the Minister of Fisheries, the Hon Stuart Nash, was the Director of Fisheries – Marine, Stuart Anderson from MPI. Both came to personally thank the Forum for the work they have done over the last three and half years. 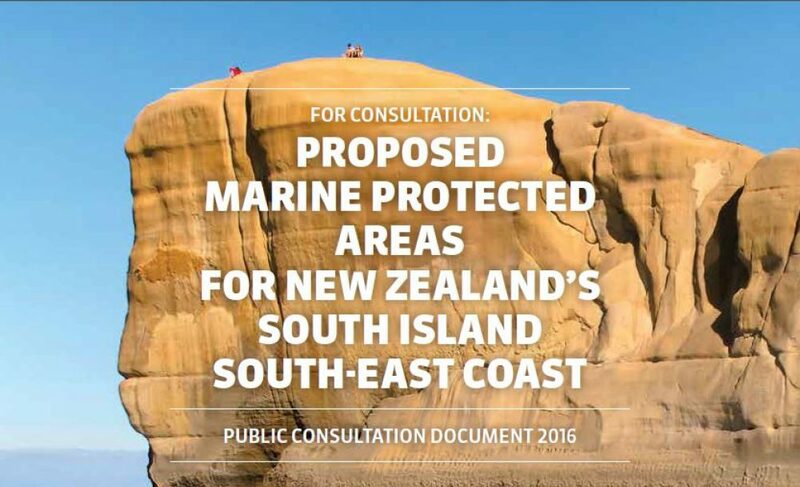 The Forum, established in June 2014 by the Ministers of Conservation and Primary Industries was tasked　to recommend to government what sites, from Timaru down to Waipapa Point in Southland, are deserving of marine protection and what type of marine protection the sites need. Throughout the process the Forum was supported by the Department of Conservation and the Ministry for Primary Industries. In her address to the Forum, the Minister stressed the importance of protecting marine biodiversity for the benefit of future generations and said she looked forward to receiving the Forum’s recommendations. The Director of Fisheries, Stuart Anderson also endorsed the importance of the Forum’s work. Forum Chair, Maree Baker-Galloway spoke of the journey the Forum has been on and of the huge commitment each member has made on behalf of iwi, stakeholders and other community interests. In October 2016, the Forum released its consultation document detailing 20 sites for possible inclusion in a network of marine protected areas along the South-East Coast of the South Island. By the time consultation closed in December 2016, 2803 submissions had been received. This year the Forum has been engaged in its final deliberations. This has included reviewing all the information it held for the 20 sites, including details from submissions and additional fisheries information provided by the Ministry for Primary Industries. The Forum also took into consideration other sites proposed in submissions and suggested boundary amendments. The Forum has used the information gathered during this process, as well as the content of the submissions from the formal consultation process, to improve its understanding of the south-east South Island marine environment and affected people, to deliver informed recommendations. The Forum’s Recommendations Report will be made public in February 2018. The South-East Marine Protection Forum/Roopu Manaaki ki te Toka has been granted an extension for the delivery of its Recommendation Report to the Minister for Conservation and Minister of Primary Industries. The new delivery date of 20 December 2017 was announced by the Director-General Department of Conservation, Lou Sanson, who addressed the Forum during a three-day meeting which concluded yesterday in Dunedin. The Forum Chair, Maree Baker Galloway, says the Forum needs the extra time to do justice to the points of view received from public consultation. The Forum’s final recommendations are expected to include proposals for a network of marine protected areas, including marine reserves, from Timaru to Waipapa Point in Southland, aimed at protecting marine biodiversity. The Forum is supported in this work by the Ministry for Primary Industries and the Department of Conservation. Any recommendations made in the report that are accepted by the Government will be required to go through the appropriate statutory processes before implementation. The South-East Marine Protection Forum met in Dunedin for two days on 31 July and 1 August to continue their site-specific deliberations. Forum Chair, Maree Baker-Galloway says the Forum made good progress towards assessing and verifying all information available for each site that was consulted on. Some of the sources of information available to the Forum include an independent Summary of Submissions, an independent Summary of Science Submissions, and the submissions, all of which are now publicly accessible on the Forum’s website. Maree Baker-Galloway says an almost full turn out of Forum members over the two days was quite an achievement given the transport challenges that winter has delivered to the region over the last month. The Forum are scheduled to reconvene in late August to continue with deliberations.